♦ Trawl, B.S. Johnson, Picador, 2013. ♦ The Scar, China Mieville, Pan, 2011. 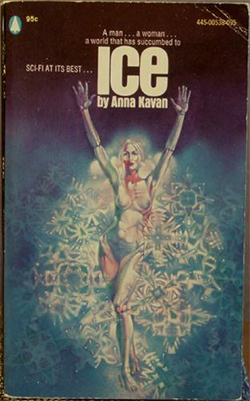 ♦ Ice, Anna Kavan, Peter Owen Modern Classics, 2006. ♦ The Big Sleep, Raymond Chandler, Serenity Publishers, 2012. ♦ Jealousy, Alain Robbe-Grillet, Oneworld Classics, 2008. Giuseppe Mistretta is unsure of where he’s heading but is enjoying the journey. Recent projects include Happy Hypocrite Issue 7, (edited by Isla Leaver-Yap); Dance like nobody’s watching or Dance like you’re not dancing, Rhubaba Gallery & Studios, Edinburgh; Gnommero-Visibility, (edited by Sarah Tripp and Richard Taylor).